A Note To My Readers: It has been a strange, emotional week for the nation. 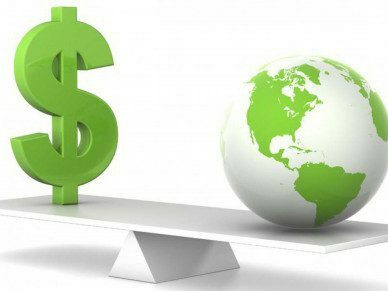 Regardless of the potential implications of the new political structure on climate change progress, The Sustainable Investor is proceeding forward with optimism only, and forging ahead with its mission: to facilitate dialogue, raise awareness, and encourage action towards positive environmental and social change. The advent of electric vehicles, autonomous driving capabilities, and the concept of ride-sharing have surpassed the old boundaries of human potential. Ten years ago, the concept of sharing a ride with a stranger was taboo. Today, Uber Pool and Lyft Line have merged into the realm of social norm, Tesla’s electric vehicles are the most desired new gadget, and the tech innovators of the era are continuously working on commercializing autonomous cars. “What we’ve got will blow people’s minds, it blows my mind…it’ll come sooner than people think.” – Elon Musk, on Tesla’s fully autonomous car. Real Cost = Initial Cost + [Operating Cost or Cost/Mile * Miles Traveled], where cost/mile is comprised of fuel expenses, maintenance expenses, social costs, and negative externalities. In such an equation, both the initial fixed cost and subsequent variable cost related to miles driven encompass negative externalities, including but not exclusive to: vehicle mortality, pollution, and traffic congestion. While we can approximate the real cost of vehicle ownership through the aforementioned linear model, the actual relationship between real cost and miles traveled is, in fact, nonlinear. As more miles are driven in aggregate, the cost-per-mile rises disproportionately due to the environmental cost inflicted on society. An example of a similar nonlinear effect is traffic congestion: the incremental cost of the fifth car on the road is insignificant, whereas the additional cost of the hundredth car on the road is likely colossal, as that 100th car could be the tipping point to significant bottleneck. We have reached a similar tipping point with carbon emissions. In conclusion, ride-sharing and autonomous transportation yield the potential for a greater-than-linear impact on the real cost of a mile driven. Today, we are one step closer to that world. Autonomous vehicles – if driven at scale – seek to gain tremendous benefits. The greatest efficiency benefits enabled by autonomous vehicles will only manifest if autonomous vehicles are driven at scale. This is a widely agreed upon notion. The potential benefits, however, are tremendous. The ideal state of the road is one in which transportation represents the marriage of electric vehicles, autonomous vehicles, and ride-sharing – such that individual car ownership is either eliminated or vastly reduced. In such a world, individual cars are not needed, as electric, autonomous cars can algorithmically drive people where they need to go at the time they need to be there. Today’s cars are parked 95% of the time (Fortune). This number is calculated from the average time humans spend driving (U.S. Department of Transportation) and confirmed through yearly transportation study data on the average distance driven per car and the average traffic speed. More information here. A world full of autonomous cars enables the space currently used for parking garages to be used for anything else: wind or other deployment of clean energy, corporations, houses…the list endures. In 2014, Bloomberg published an article, “American Cities Are Haunted by Too Many Parking Spaces” in which it discussed the impediment parking garages place on most economies. “Space equals money in one way or the other.” In 2014, there was estimated to be approximately 50,000 parking garages in the U.S.
A world full of autonomous cars would enable existing parking garages to be transformed into more useful space, as well as halt the building of new parking lots. If the road was fully autonomous, all vehicles on the road could talk to each other, such that vehicles could travel – collectively – in cruise control and in fleet-like formation so as to reduce drag. The imperfect human foot accelerates and decelerates in micro-amounts at all times. In aggregate, this imperfection equates to a massive waste of energy. A fully autonomous road fully eliminates this waste. A positive externality of the implementation of autonomous vehicles is that most, if not all, autonomous vehicles are being built as electric vehicles. Cars need not be electric to be autonomous, but why not build better cars if building new ones anyway? This is a fantastic additional win for energy intensity. Today, brilliant people are working very hard to create this world. Tesla, Uber, Google, Ford, and Volvo, among others, are making the once-a-fantasy of catching some extra z’s while your car drives itself a reality. Tesla, led by tech billionaire Elon Musk, is approaching the autonomous vehicle world in full-force: the company is manufacturing all of its new cars with full self-driving capabilities. Tesla has stated that the company will continue to perfect its hardware with millions of test-driving miles before activating – but, the capabilities are there. On every single new car. After a few mishaps, Google has taken a slightly different approach and is adjusting its self-driving algorithms until they are completely human-proof. 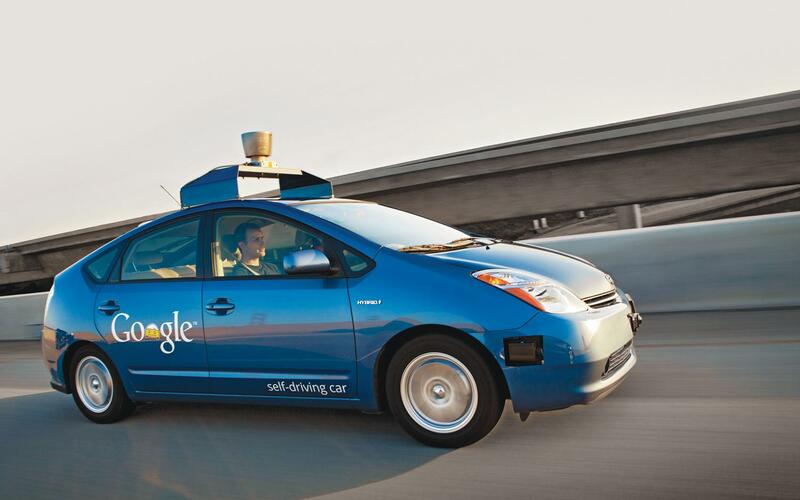 Google’s driverless cars are operated only by Google experts. Tesla insists its vehicles go through rigorous in-house testing before the cars ever reach consumers. Uber, subsequent to signing a deal this past August with Volvo to purchase 100 self-driving vehicles, has seemingly released a small fleet of autonomous cars in Pittsburgh, Pennsylvania. Only a few have been spotted and the company has remained quiet on the matter. Uber has announced, however, that it does not intend to manufacture driverless cars in-house, but instead will work on its predictive algorithms and perfect its ride-sharing model to then partner with the companies that are producing the autonomous vehicles. The release of Uber-Volvo cars seems to be a continuation of an announcement Volvo made in early 2015 that Volvo was planning to test its autonomous cars in Sweden with 100 real drivers in 2017. Slightly north, Ford Motor Company, as part of its “mobility strategy”, has partnered with the Massachusetts Institute of Technology (MIT) to bring electric vehicles to MIT’s campus. Ford’s mobility strategy, as it was announced in 2015, is focused on “building cars with Internet connectivity, developing autonomous vehicle technology, and using big data collected from sensors in cars to learn more about how people travel.” Ford is partnering with MIT to both improve its self-driving technology in a safe space as well as develop its predictive algorithms which direct vehicles to where people need them. This project is part of a broader Ford initiative to partner with over 30 universities to develop this very research. 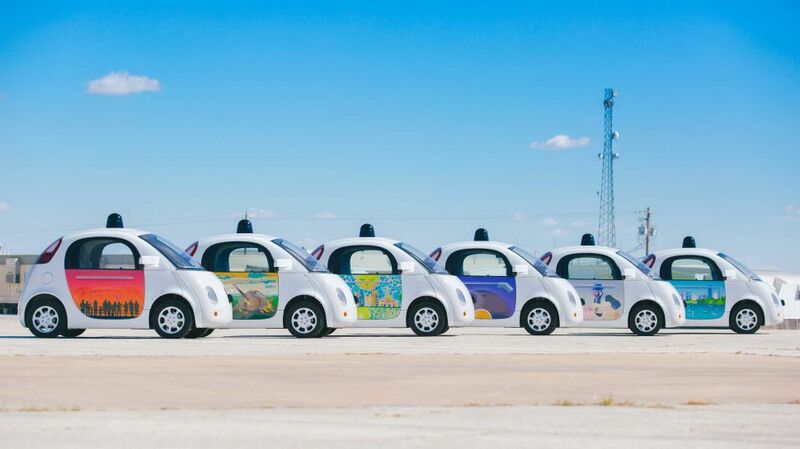 Google’s self-driving cars have already traveled over 2 million test-miles on public roads. Google filmed the below video, portraying an additional benefit that hasn’t been widely discussed. Consider the following. A legally blind gentleman named Steve Mahan was able to sit in a driverless car, and for the first time ever, order a burrito from a drive-through window and pick up his own dry cleaning. Steve’s elation is ever-inspiring. Today, millions of test-miles are being driven without drivers as autonomous cars are being rigorously tested. The big players have formed a Self-Driving Coalition for Safer Streets to collaborate with lawmakers, policymakers, and the public for a more sustainable future. Programmers are improving predictive algorithms. Progress is being made on a daily basis. Namely, humans and robots are not (yet) wired to live harmoniously. One fundamental impediment to wide-scale deployment was depicted nicely in a CNN Money article: Who’s responsible when an autonomous car crashes? Another potential negative externality is the effect on employment – because autonomous vehicles will eliminate jobs. As with nearly all technological advancements, machines will replace humans if autonomous vehicles are widely adopted. It is difficult to determine the overall net impact on employment, as jobs will also be created. Unfortunately, the current state of the environment is such that the transfer of jobs from non-sustainable industries and activities to sustainable activities might, in fact, be entirely necessary. The MIT Media Lab has created a Moral Machine: a simulation to gather human intelligence on scenarios where machine learning is forced to make “moral decisions”, such as with self-driving vehicles. The sheer fact that there are so many test cars on the road and so many research labs dedicated to learning about blending humans and car-robots is an indication that the driverless cars are not yet ready to be commercialized. Skeptics will contend the driverless future is far away. Elon Musk and the others working on the cars themselves will tell you that day is closer than you think. While the benefits are undeniable, so too are the risks. Stay tuned. Next Artificial Intelligence: Society’s Biggest Threat or Savior?